Comments: Quite a strange idea for a game, but that is what makes it so amazing. 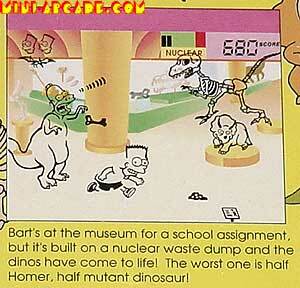 The museum was built upon a nuclear waste site, which apparently turns homer into a mutant dinosaur. 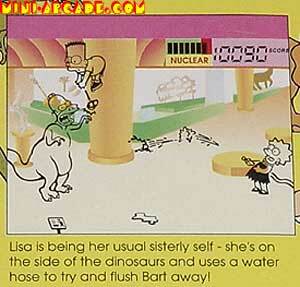 Bart harrasses poor Homer, while Lisa chases away Bart. 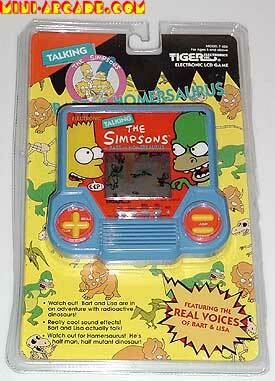 There is a cheap little voice chip in this game, which has authentic recordings of Bart and Lisa. 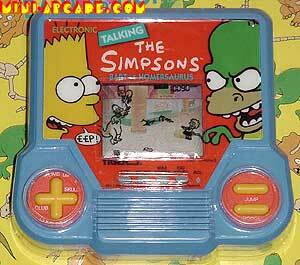 Great little gaming gem!